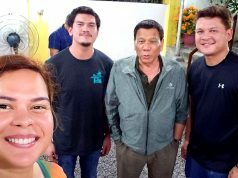 Senatorial aspirant Bong Go, former aide to President Rodrigo Duterte, surged to No. 3 in the latest Pulse Asia survey on senatorial preferences conducted in late February. 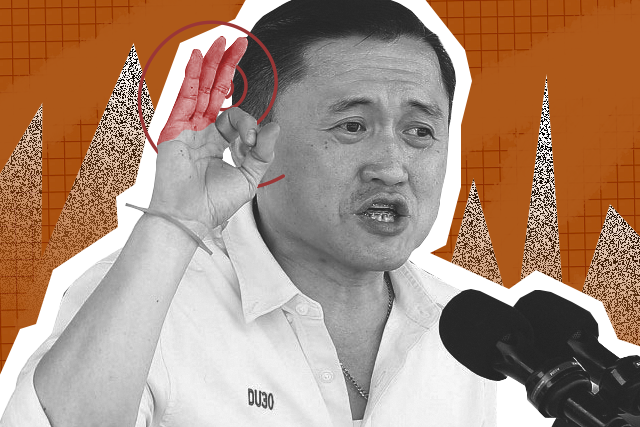 The nationwide poll gathered from February 24 to 28 showed Go having a 53-percent preference rating, falling just below front-runners Grace Poe and Cynthia Villar, who are both incumbents. The survey’s sample was of 1,800 likely voters 18 years old and above. It has an error margin of ±2.3 percent and confidence level of 95 percent. Poe, ranked first, was preferred by 67.5 percent of the nationally represented respondents, while Villar would earn 61 percent of the votes within the period. Of the voting population 99 percent and 100 percent are aware of Poe and Villar, respectively. Go’s awareness rating, meanwhile, increased from 91 percent in January to 96 percent in February. This is high for a Senate outsider and a political newcomer. Immediately after the release of the survey findings, Go thanked his supporters as well as Duterte for the trust. 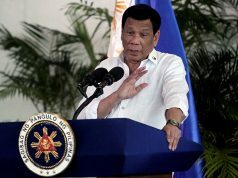 “Nakakataba po ng puso ang inyong pagtitiwala… Malaking bagay po ang pagtitiwala sa atin ni Pangulong Duterte,” he said in a press release. 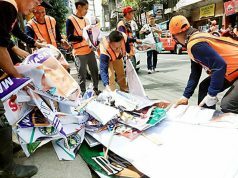 “Dahil sa kanilang paniniwala na tama at maganda ang pamamalakad ng gobyernong ito, kusa nilang sinisikap suportahan ang pangulo at ang mga sinusuportahan ng pangulo para ipagpatuloy ang tunay na pagbabago na nangyayari ngayon,” he added. Below Go are Sen. Sonny Angara (52.2 percent), former senator and actor Lito Lapid (49 percent) and former senator Pia Cayetano (47 percent) who is also current Taguig representative. The three are ranked anywhere from third to seventh places. Controversial former police chief Ronald “Bato” dela Rosa, meanwhile, seemed secure ranking fifth to eighth. He was known as an architect of Duterte’s bloody war on drugs launched at the start of his presidency in June 2016. Sen. Nancy Binay, former senator and frustrated presidential candidate Mar Roxas and recently freed former senator Bong Revilla are ranked seventh to 13th, all enjoying high awareness ratings. Ilocos Norte Gov. Imee Marcos also made it to the Magic 12 alongside reelectionist Sen. Koko Pimentel. Right outside the top 12 but ranking anywhere below 10th place are former senator Jinggoy Estrada, who was recently granted bail over plunder charges, political adviser to the president Francis Tolentino and opposition senator Bam Aquino.